Some (if not most) have severe learning difficulties, part of it because they do not know how to obtain/analyse/process/apply/present information, even in basic matters. This problem found most in some of Thai society, especially in specific group such as Liberal™. To overcome this, one must learn how to at least put ideas/process/logic in visual presentation, because it is probably the easiest way to learn. Flowchart is a good starting point to make argument, and learn about logic indirectly. 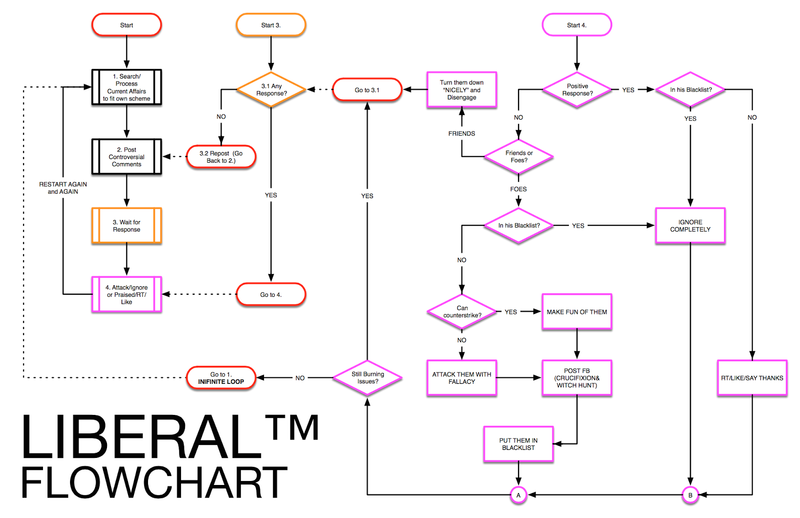 Flowchart is a type of diagram that represents an algorithm, workflow or process, showing the steps as boxes of various kinds, and their order by connecting them with arrows. This diagrammatic representation illustrates a solution model to a given problem. Flowcharts are used in analysing, designing, documenting or managing a process or program in various fields. 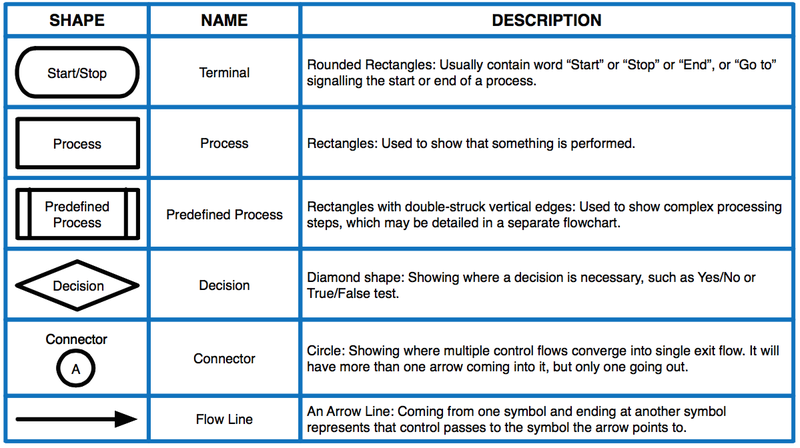 There are other shapes used in flowchart drawings, but those mainly used commonly are shown above in table 1. As shown in Examples 1 to 4, they illustrated different kind of symbols used in flowcharts except Connector, which is less common. 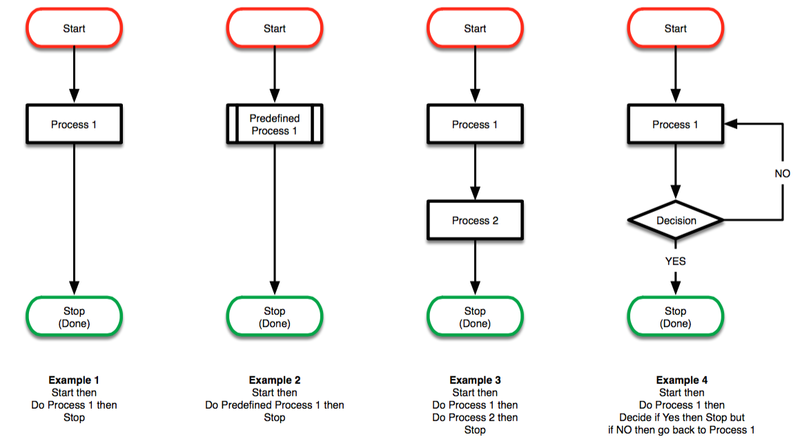 Please note: in Example 2: Predefined Process 1 implied that it can be broken down into sub-process, such as shown in Example 3 and Example 4. Let's start with real-life example. We can construct Flowchart based on events or what happened, which will enable us to learn "LOGIC" or how things wrapped up the way they were. This is good exercise for everyone to have quantitative and qualitative approach. Followings examples contributed by Mr. Veerapat Viboolsawaswatana Twitter: @LastIFound - thank you very much. "One of Thai Liberal™ always made controversial or sensational posts based on current affairs in social media, including Twitter and Facebook. This Thai Liberal™ used Facebook as a tool to attack opponents (whom he forbade them to add him as friend so they can not make counter argument in his page) and to earn sympathy or supports from allies. (more allies in Facebook to praise him, which is totally opposite in Twitter, where his followers are well-equipped opponents . This Thai Liberal™ usually criticised those opponents by attacking them with fallacy as much as he could to divert attention of the core writing he initially wrote at first place. If allies made positive comments this Liberal™ will Retweet (twitter) or Liked (facebook) and replied with Thanks. but if it were opponents who are well-equipped with knowledge/examples and so on to prove him wrong he would condemn them badly or ignore them completely claiming his rights (not to listen), i.e. Blacklisted"
With above information of this Thai Liberal™, we can draw Flowchart as follows. I deliberately ignored details of Sub-Process of Box1 (Pre-Process 1) and Box2 (Pre-Process 2), because it is simple enough. Figure 2: More complex Flowchart constructed based on "FACT"
This should be enough for now, but please spend time to see meaning of Figure 2 side by side with above statements. It will definitely help reader to learn flowchart, logic, and etc. Thank you. Author would like to say thank you to Mr. Veerapat Viboolsawaswatana Twitter: @LastIFound once again for all helps gathering all information. Disclaimers: Author had absolutely no idea whom that Liberal™ Mr. Viboolsawaswatana may have referred to, but please do accept my apology in advance if any of you will fit in this Flowchart.